People often ask can testosterone cause depression? Studies have proven that the answer is yes. However, according to an article in the International Journal of Endocrinology, scientists are not quite sure exactly why low testosterone and depression are linked. What they do know though, is that one does cause the other. Research out of the Center for Andrology at George Washington University showed that 56 percent of the subjects had significant depressive symptoms when they reported for the study. More than 50 percent of the men had low T levels. This study was presented at the annual meeting for The Endocrine Society. 27 percent of the patients reported a decrease in concentration. These study results are very similar to a plethora of other research that has been done to prove that testosterone and depression have a cause and effect. The depression can be either directly caused by the low T, or even a side effect of one of the other issues caused by the condition. The influence that testosterone has on depression is being researched more and more every day. Scientists have not yet been able to pin down exactly what the correlation is between testosterone levels and depression, but it is apparent that there is a strong one. This is considered to be a fact, according to the patients who participate in testosterone replacement therapy (TRT). When men present to Greenberg Health with depression and also test to have low T, then they participate in TRT and the depression eases or disappears, that is proof of the link between testosterone therapy and depression. Here are a couple more ideas that can show the relationship: testosterone against depression. When a person is inundated with symptoms of low T that make them look and feel unhealthy and take away their quality of life, depression can follow. These are only some of the symptoms of low T can have a profound affect upon a person’s emotional well being. Imagine feeling so fatigued that it inhibits your ability to exercise – you will then slow down your metabolism and gain weight while losing muscle mass. In addition, your skin is starting to sag, get wrinkled and become haggard looking. Your hair is beginning to thin and your sexual drive is nothing nearly close to what it used to be. You may even have erectile dysfunction, leaving you with the inability to gain an erection and to perform sexually. All these issues can cause problems in personal and social relationships and even job performance leading to divorce, job loss, low self worth and depression. A popular study showed that low T can affect one of the neurotransmitters in the brain called serotonin. This important neurotransmitter helps to regulate mood. Just as everything slows down in the body as age takes its course, so does the production of testosterone. When low testosterone affects the production of serotonin, decreasing the amount of this mood enhancing neurotransmitter in the brain, it can create depression. This is a very viable explanation of the correlation between low testosterone and depression and why the former can cause the latter. There are many links between low testosterone and depression. Studies have proven that low T can cause depression, although there is still speculation on exactly how the two are related. Greenberg Health has had an extremely high success rate treating men with bona fide low T and depression. Once a man is tested to have a testosterone deficiency through the appropriate blood testing, our doctors can prescribe the correct medications that will raise hormone levels and balance them out. This will decrease or eliminate symptoms caused from low T, including depression. Testosterone Propionate is another medication, but it is not used as often as the others due to its short half life and required frequency of used. When our doctors successfully prescribe the right medication at the right dosage and follow patients through treatment with medical supervision, depression can disappear. 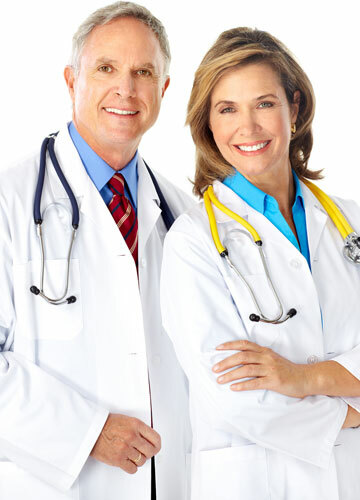 In addition, the patient must also take great responsibility and commit to following the doctor’s treatment plan, take their injections as prescribed and live a healthy lifestyle to help in the natural production of testosterone. Shots are to be given intramuscularly. This means that they need to be delivered directly into a muscle; never into a vein. The muscles most often used as injection sites are the buttocks, the deltoids and the thighs. It is also important to rotate the spots where the injections are given. This is to avoid irritation, redness, itching or swelling of the area.